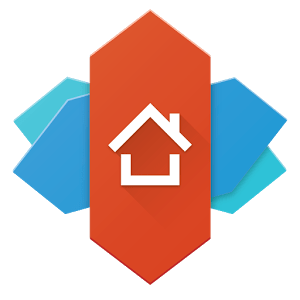 Nova Launcher has partnered with Sesame Shortcuts to bring app search and shortcuts to the next level. Android 7.1's app shortcuts are a favorite feature of Nova Launcher and Nougat and some of these shortcuts could even be backported to Android 5.1 which many users appreciated. However for many users it only served to whet their appetite for more shortcuts. Still not many apps support 7.1 shortcuts, and users who are on earlier Android versions have even less shortcuts available to them. Likewise Nova's app search is a favorite feature for many, but users want more than just apps as the search results. Enter Sesame Shortcuts. Sesame Shortcuts has been working on building deep link shortcuts into apps for some time and experimented with a few different user interfaces for it. They have a large database of static shortcuts and systems to create new dynamic shortcuts for many apps. But they struggled with finding the best way for users to access these shortcuts. We're playing to our strengths. Nova provides the familiar user interface and Sesame provides the shortcut backend. On Android 5.0 or higher, Sesame can provide new Android app shortcuts and search results for over 20 apps, including Contacts, Spotify, Netflix and Tasker. Sesame, like Nova, is an indie app looking to put users' experience first. The shortcuts are maintained on-device not a remote server and there are no ads or invasive data collection. There is no money exchanged either way between Nova and Sesame. Sesame has a one time in-app-purchase for $3.49 USD. Sesame starts as a 14 day trial, after the trial expires Sesame will remain full featured however you'll see gentle reminders to upgrade after using a Sesame shortcut. To get started with Nova + Sesame get Sesame Shortcuts from the Play Store and follow the prompts.